Easter is an important date on the Christian calendar and a holiday opportunity for many of us. But for most of us, it is also a visit from the Easter Bilby/Bunny and plenty of opportunity for candy and chocolate! Chocolate is historically tied to Easter, as it used to be a tasty treat for people who had completed fasting as part of Lent. Today, most of this association as gone and our children and we think of chocolate and candy as a sweet treat associated with bilbies/bunnies and baskets. At A Plus Dental, we want you to be aware of the hidden dangers of Easter’s sweet candies, and how you can protect your teeth and health over the Easter week. The World Health Organisation recommends keeping “free sugars” to less than 10% of our daily energy intake. For the average adult, this is about 12 teaspoons daily. Increased obesity risk. Sugar is exceptionally high in calories, and Easter can kick this into overdrive. In addition to adding extra calories to your diet, sugar triggers an insulin response that blocks hormones in your body that make you feel full, which leads to eating more. Sugar crashes. Sugar rushes through your system, bringing short-term energy that leads to a “crash” about 30 minutes later. These surges are uncomfortable and unhealthy, eventually causing insulin resistance and even diabetes. Dangerous illnesses. Sugar can even put you at a higher risk of severe diseases, including kidney disease, cancer, and even liver failure. Cognitive Decline. Studies demonstrate that eating excessive sugar can cause brain fog and cognitive decline. Cavities! I think your Campbelltown dentist has made this clear, time and time again! So, what can you do? Here are our six tips! Wait before brushing your teeth. Eating often, which Easter often leads to as you snack on candy, weakens tooth enamel and brushing directly afterwards is worse. If you wait half an hour after you have eaten, to brush, saliva has a chance to neutralise acids, re-hardening the enamel. Sugar-free chewing gum. Chewing sugar-free gum after meals can keep teeth cleaner and reduce the risk of decay. Sugar-free gum is also good because it can help to remove food particles from the crevices of your teeth. Healthy snacks clean teeth! Apples, celery, carrots, and cheese are some snacks that support oral health. They promote saliva production which helps reduce the risk of tooth decay. As a bonus, those crispy vegetables have fibre that helps clean your teeth! Choose dark chocolate. If you’re going to eat chocolate, make it dark chocolate, preferably organic, and with a sugar content of no more than 6-8 grams per serving. There are health benefits to eating dark chocolate in moderation, such as dark chocolate which contains flavonoids demonstrated to slow tooth decay. Dark chocolate also contains antioxidants, and it’s been shown that having higher levels of antioxidants in your saliva can help to fight gum disease. 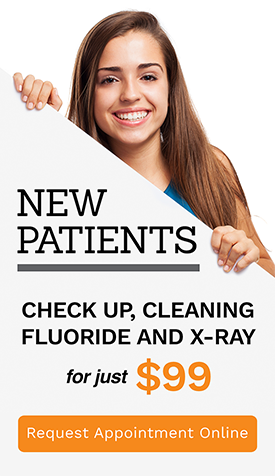 Regular dental check-ups and professional clean at A Plus Dental. Visit us twice a year for a check-up and professional clean! This help reduce and fix any damage sugar (or other dental threats) may have done to you, saving you time and money down the road! It Adds Up with A Plus Dental! A Plus Dental believes in honesty, compassion, trust, and comfort. We give Campbelltown area patients, of all ages, caring, relaxing treatments in a comfortable environment. Call us on (02) 4627 3833 or book your appointment online today. We are located at Suite 3/300 Queen Street in Campbelltown.